Mo Farah after his 5K victory at the London Anniversary Games. Mo Farah had not competed much in 2016. While Farah, who won gold in both the 5,000- and 10,000-meter races at the London Olympics, as well as gold in both races at the 2015 World Championships in Beijing, the Brit had not run competitively all that much in 2016. And his results have been up and down as well. 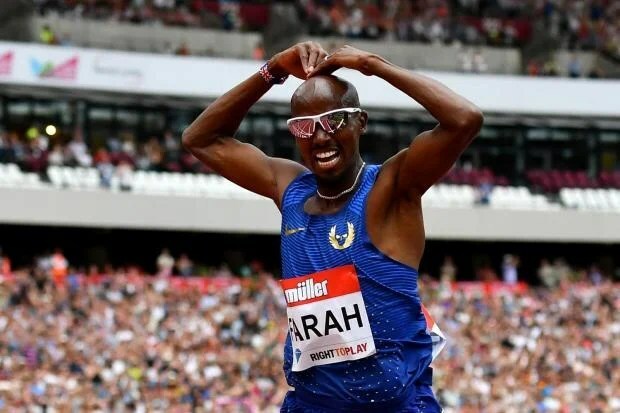 But on July 23rd, returning to the stadium he won double Olympic glory, Farah restored faith in his fans, and gave hope to the possibility of being the first person since legendary Finn, Lasse Virén, to accomplish the double-double: winning gold in the 5K an 10K in two consecutive Olympics. At the London Anniversary Games, Farah won the 5,000-meter race convincingly, finishing well ahead with his trademark kick. His time of 12 minutes 59.29 seconds was his best since a tune-up to the London Games in June, 2012. In other words, his 33-year-old legs are feeling young. 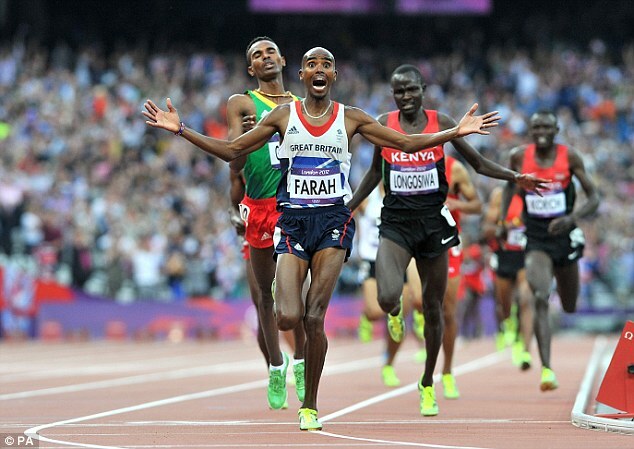 Farah agrees, saying as much after his victory in the London Anniversary Games. But while there is little evidence to show in 2016 that Farah has what it takes to win the 10K in Rio, at the very least, he is the clear favorite for the 5,000-meter race in Rio. Posted in Other Olympics, Rio Olympics, Track and FIeld and tagged 10000-meter race, 10K, Bedan Karoki, Lasse Viren, London Anniversary Games, London Olympics, Michael Johnson, Mo Farah, rio olympics. Bookmark the permalink.